Following Liverpool’s 4-2 win over Burnley, Sean Dyche has pretty much blamed the match-day officials for his team not walking away from Anfield with a share of the points. The Reds went 1-0 down in the sixth minute but turned it around before the end of the first-half to go in 2-1 up and ultimately see out the result 4-2. 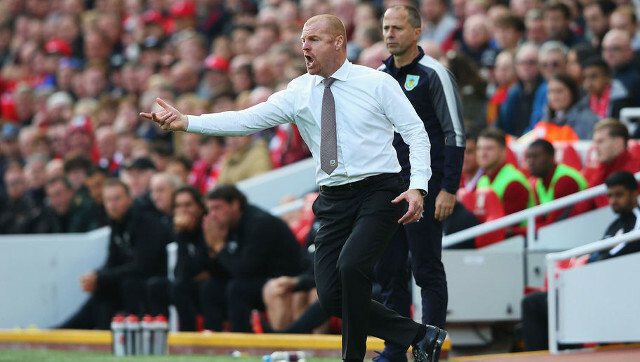 One particular moment in the build up of the Reds’ first goal had the Burnley manager moaning. “I think Firmino decided to make the first decision when he caught the ball,” Dyche was quoted as saying in the Liverpool Echo. “[The referee] hadn’t blown the whistle on a counter moment, which was a bit weird. He waved play on, Firmino caught the ball and threw it back on and it’s a free-kick. Dyche had clearly forgot how his team scored the opener; James Tarkowski climbed all over Alisson as Ashley Westwood’s corner looped right over the goalie’s head and sailed into the net. He was asked for his opinion on his team’s opening goal and Dyche hypocritically said: “I don’t know. It’s one of them. I don’t know how that’s judged any more. More importantly though, the win puts Liverpool back to within just a point of Manchester City with only eight games remaining. It’s these kind of results we’re going to need to grind out if we want to pip our rivals in this title race.